FOX IV designs and manufactures the broadest range of printer applicators in the world. We convert over 25 industrial printers and OEM print modules into print and apply systems. We can also modify our print and apply equipment to meet a wide range of demanding applications – from airless all-electric to large 8″ X 17″ pallet labels. 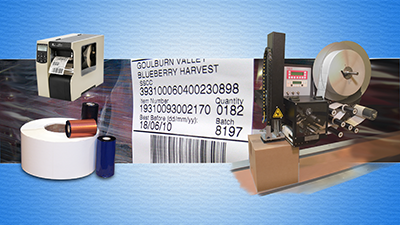 Some of our unique labeling solutions include the TwinPrint™, Tandem, and RFID label systems. Our award winning TwinPrint series of printers and printer applicators are designed for automating shipping label/packing slip/return UPS-ARS labeling processes. Including the TwinPrint™ FOX IV has five different ways to automate the packing slip process. 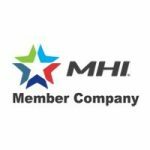 Our exclusive Tandem print and apply utilized two print stations to digitally laminate labels for hostile environments, print two color applications like GHS labels, or add security features to labels such as holograms or UV readable images. FOX IV introduced the world’s first HF (13.56 MHz) RFID label printer applicator in 2001 and we were the first print and apply company to pass the EPC Gobal’s Certification for Class 1 and Class 0 tags in August 2004. Additionally, FOX IV has a range of label applicators and industrial desktop label printers. FOX IV is a full service label converter and supplier. We have over 300 label dies sizes available and seven flexographic presses that can print up to 8 colors – using both UV and waterbased inks. Both blank and printed labels are available as well as specialty labels such as synthetic stocks, dissovable, freezer grade and booklet styles. We are able to supply thermal transfer ribbons for both label printing applications and thermal coders. Wax, Wax/Resin and Full Resin ribbons are available as are specialty ribbons such as colored ribbons, UV ribbons and holographic ribbons. FOX IV’s service team are experts in the installation, service, maintenance and repair of thermal label printing equipment. We offer 24 Hour telephone support in addition to our regular service/support hours. They provide installation and training for new systems as well as service and repair for installed systems. Both on-site and depot service and repair are available. For maximized performance, FOX IV offers maintenance contracts and customer training. Many of our solutions are documented on our web site. Please take the time to access them – you may find that we have already designed a solution that – with a little modification – will meet your requirements. If not, please contact us to discuss your application. We have over 30 years of experience providing turnkey integrated solutions.